Complementary tests of single-word reading, sentence reading and reading speed give a useful profile and overview of pupils’ mechanical reading skills. Up-to-date national norms – given as standardised scores, percentiles and reading ages – extend from 5 years to 16+. The three tests can be used individually or in combination. 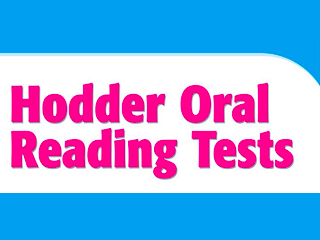 Please be advised that orders of Hodder Oral Reading Tests are restricted to schools/institutions only. Please supply an institutional address when you place your order as we are unable to fulfil orders with a private address.